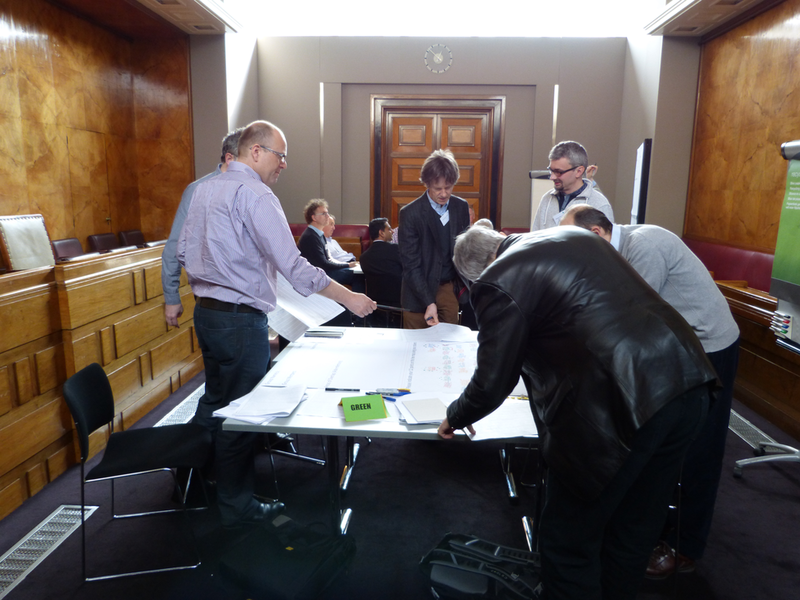 The third EPSRC ICT Network of Networks meeting took place on the 27th March 2013 at RIBA, 66 Portland Place, London, and was attended representatives of 19 ICT Networks and EPSRC staff. d.	their coverage of the ICT research landscape. 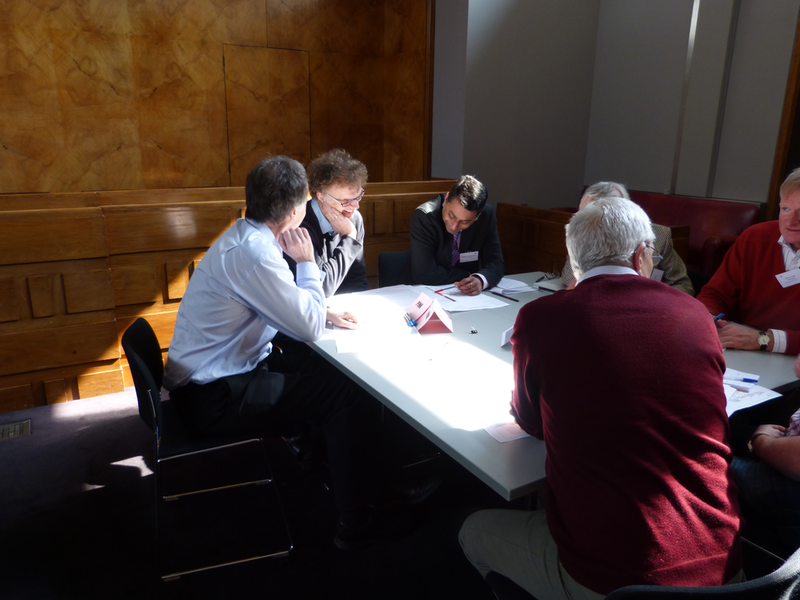 Prior to the meeting the networks each provided three research challenges that were thought by their members to be critical to the development their research areas. Network representatives were asked to group all of the network challenges into like groups using the online sorting tool: Well Sorted . 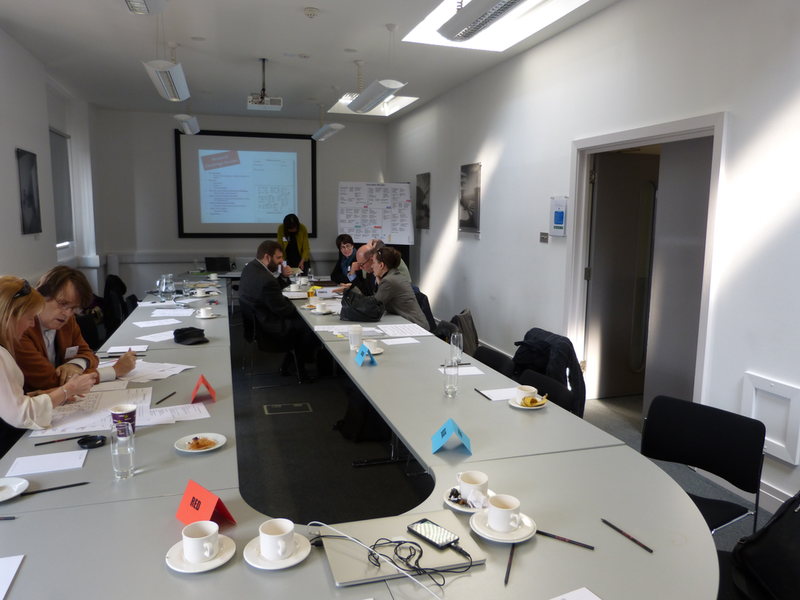 This resulted in eight groups of challenges that were used both to structure the activities of the meeting and to provide initial documentation and awareness. At the meeting network representatives were asked to identify which of the challenge groups were most relevant to their networks. Breakout sessions were formed around these groupings. 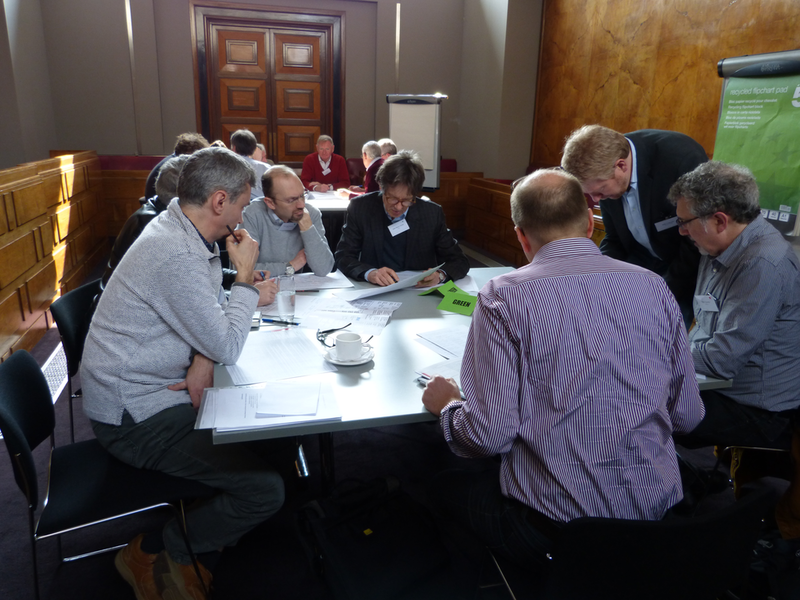 The teams were tasked with agreeing titles for challenge groups and of identifying potential inter-network collaborations. 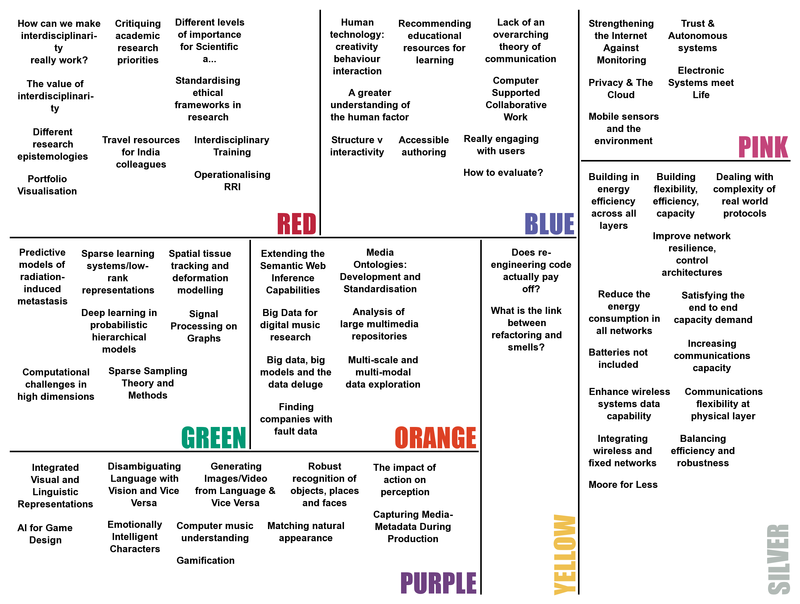 The groups were merged into four larger groups and each network representative distributed twelve colour shapes (each unique to a network) onto the topic hex-map of the EPSRC ICT portfolio (provided by the ICT Perspectives project ). 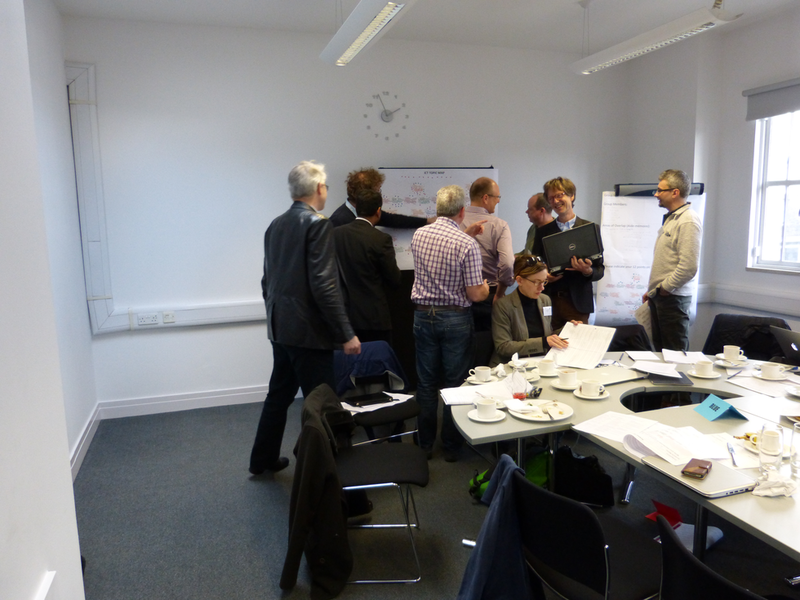 Attendees were again asked to identify overlaps and potential collaborations. 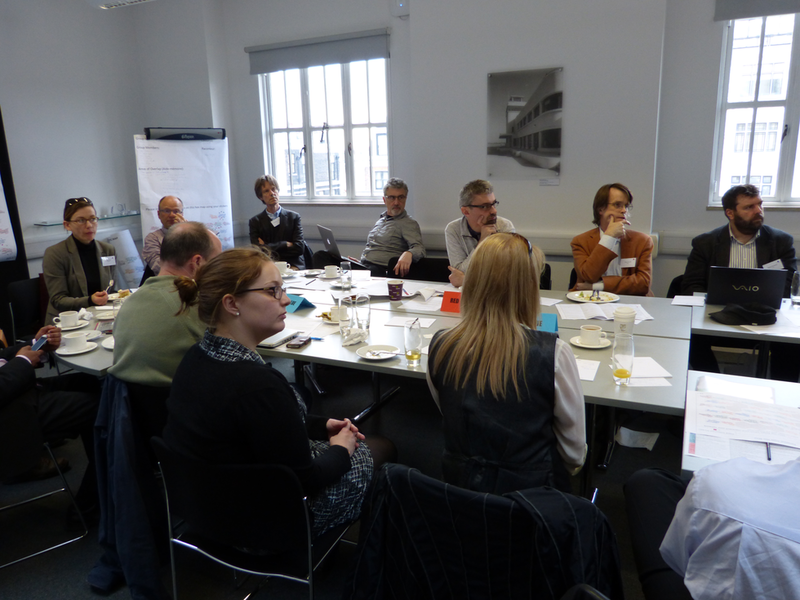 Interaction and networking at the meeting was facilitated by personal and group aid memoir proformas; fast frequent plenary feedback; and plenty of coffee and cake. 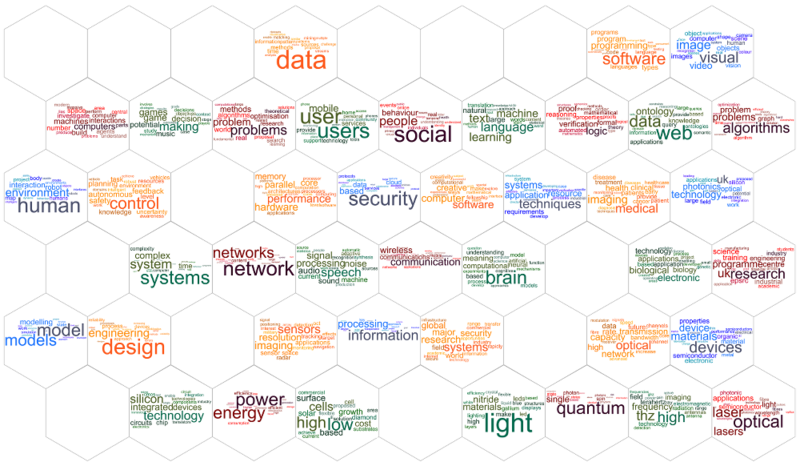 Each section represents groups of research challenges which the attendees thought were similar.